Pending Home Sales: Is It Too Late? Is it too late to buy a property that is already pending? As properties continue to sell at a rapid pace, more and more homebuyers and real estate investors are finding that they are getting beat to the punch in making offers. When an online listing moves to ‘pending’ status, someone else has already made an offer which has been accepted. So does this mean it is too late to buy that property? As the U.S. housing market continues to improve, it is getting more competitive. For example; even though home prices and active listings are up in San Diego, so are pending sales. Pending home sales steadily rose in San Diego from January through May 2015. By the end of May, there were over 4,000 properties under contract. Average days on market for local detached properties remained below 60 days from March 2014 through April 2015. Many properties are selling a lot faster. Those buyers that drag their feet a few days will find they are continually beat out for new home listings. Just because a property has gone to pending status doesn’t mean buyers have to give up all hope. This doesn’t mean it will be easy, but there are options for those willing to put in a little effort. The first and most obvious option is to contact the real estate agent or seller and see if you can make a backup offer. House deals still frequently fall apart. This can be due to appraisal challenges, inspections, mortgage loan application denials, and simply due to buyers backing out. Some contracts may even have a kick-out clause that will allow a new buyer with a higher offer to boot the first buyer. It doesn’t hurt to ask. In many cases, agents will refuse to accept backup offers. This doesn’t make much sense, but it is common. If this is really your must have dream home, you can also contact the buyer or their agent. Perhaps they will be willing to assign you the contract for a small fee. Or they may be willing to resell you the property right away. In many cases investors plan to do this anyway. This scenario just helps you get to first in line, and potentially secure a better deal. If neither buyer or seller, or their Realtors are helpful, set alerts to get notified if the property bounces back online. Don’t hold your breathe. Keep looking for something else. If you keep getting beat out for new property listings, there are some other angles to look at. Recently sold listings may be a viable option in some cases. Many properties are being sold to real estate investor that intend to flip them. Get in fast enough before they do all the rehab work, or have incurred a lot of holding costs, and you may still be able to work out a reasonable deal. Aged listings can be a gold mine. Ninety-nine percent of activity is all focused on the brand new listings of the day. Older ones just get ignored. 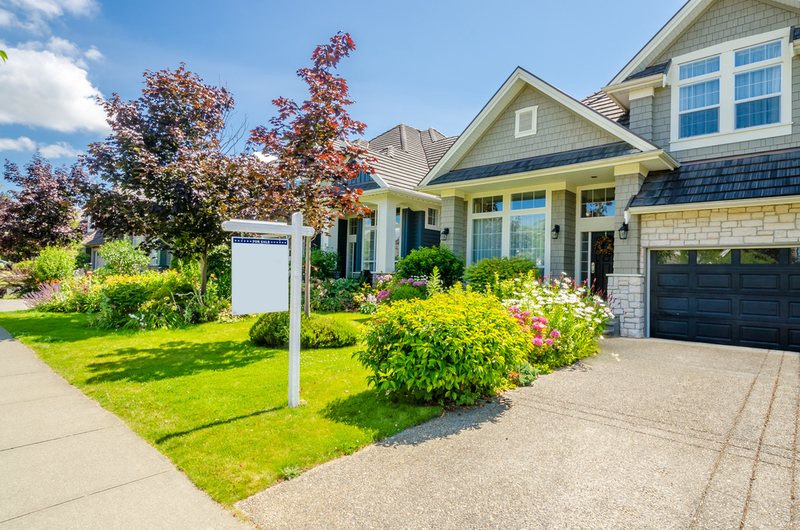 This can be the perfect opportunity to go in and make a lower offer, hoping they have become more eager to sell, and more realistic about pricing. Realtors may also be highly motivated to get their clients on board before they lose the listing. Expired listings happen when a Realtor’s agreement with the seller expires. You’ll see this when the property drops off the for sale section of major websites. This is a ripe time to move in and make an offer. Now the seller can be contacted directly. They are likely more motivated to deal, and now don’t have to pay that three percent to 10 percent in Realtor commissions. If the extra work in bidding on homes doesn’t appeal to you, the obvious solution is to get faster at bidding. Get on lists and alerts so that you are the first to know about new homes for sale. Make sure you have your financing lined up in advance, and have cash free to make the deposit. Get out there, view the property, and make an offer instantly. Or make an offer contingent on inspecting the property. The alternative is to look to other sources of properties. This could be banks with distressed properties, real estate wholesalers, and other investors. The housing market continues to be competitive. Set yourself up to bid faster so you don’t miss the deals and homes you want most. But even if a property slips into ‘pending,’ there is still hope if you are willing to make the effort.